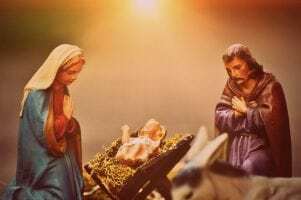 To many of us, Christmas Day and December have become irrevocably intertwined but did you know that during the first 300 years of Christianity, the birth of Jesus Christ wasn’t observed in December? In fact, sometimes Christmas Day wasn’t observed on a particular date at all. 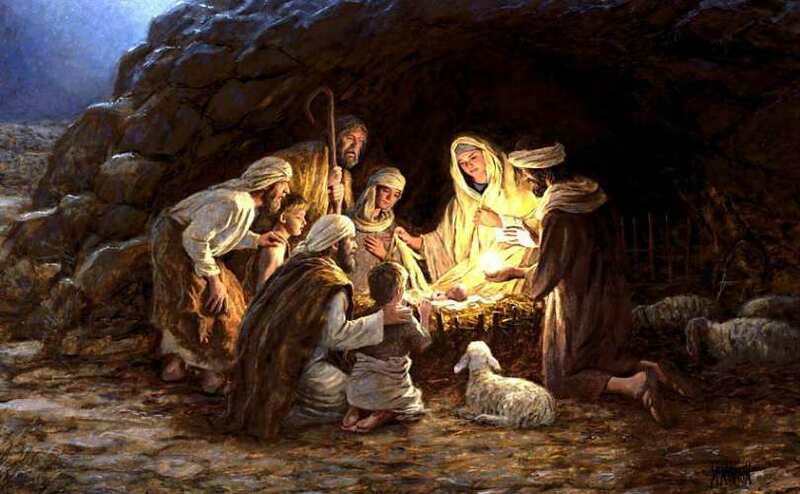 Let us look into the history of Christmas Day and find out why we celebrate it on December 25. Christmas is derived from the Middle English word “Cristemasse” and is a shortened form of “Christ’s Mass.” Criste comes from the Greek word “Khristos” which means “Messiah” and “anointed” while Masse is taken from the Latin word “missa” which is the celebration of the Eucharist. Christmas means the Mass of Christ. Nobody knows the exact date of Jesus’s birth but there is enough reason to believe that He could not have been born in December. First, it can get very cold during winter and it is not likely that the shepherds would tend sheep in the hills during this time. The most probable month of Jesus’ birth would be the spring or autumn months. One of the reasons that supports why Jesus’ birth could have happened in the spring is because the Jewish festival of Passover is observed during springtime. This occasion commemorates the time when the Jewish people were freed from slavery in Egypt more than 1,000 years before Jesus’ birth and involved sacrificing lambs in the Temple of Jerusalem. During Passover, Jews from all over the Roman Empire would travel to Jerusalem making it an appropriate time to take a census. According to the Bible, Mary and Joseph traveled to Bethlehem for the census. Jesus could also have been born in autumn and the reason for this is that the Jewish festival of “Sukkot” or the “Feast of Tabernacles” happens in this season. Sukkot is a time when Jews celebrate the faithfulness of God, particularly when He sustained them after they escaped Egypt, as well as the end of harvest season. Bible scholars generally agree that Sukkot would be a possible time for Christ’s birth because it would explain why there was no room in the inn in Bethlehem. Secondly, the Jewish people would put up temporary shelters during Sukkot. Additionally, the appearance of the Star of Bethlehem most likely happened in either spring or autumn. So if Jesus Christ was not born on December 25, then why do we celebrate His birth on that date? Before the 3rd Century AD, Christmas Day was not celebrated on December. In fact, some religious leaders rejected the idea of observing Christmas. For example, the Biblical scholar and philosopher Origen opposed the idea of honoring Christ in the same way that pagan gods and kings were honored which was through birthdays. 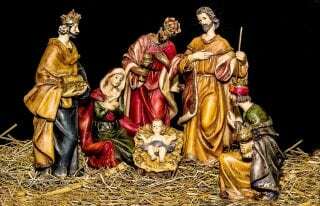 If it was observed at all, Christ’s birth was held on the same date as the Feast of the Epiphany, one of the first established feasts of the Christian church which takes place on January 6. Some religious authorities, however, were more open to the idea of celebrating Christ’s birth and they speculated on possible dates. These dates include May 20 which was favored by Clement of Alexandria, Hippolytus, however, campaigned for January 2. Other popular dates include April 18, April 19, May 28, November 17, November 20 and March 25. Around the year 243 AD, a treatise proposed March 21 as the date of Christmas Day since this was believed to be the date that God created the sun. Polycarp, the Christian bishop of Smyrna, supported the idea that the birth and baptism of Jesus most likely took place on a Wednesday because, as in the book of Genesis, the sun was created on the fourth day. Considering that pagan celebrations were already being practiced on this date, church authorities decided to introduce a new Christian festival. The choice of December 25 therefore addressed Origen’s concern about pagan practices and the association between Jesus, the Son of God, and the sun. In 336, Western Christianity began to observe Christmas Day on December 25 thanks to the Emperor Constantine who made Christianity the official religion of his empire. Eastern churches, initially retained the original practice of celebrating the birth and baptism of Jesus on January 6 but soon adopted the new practice. They began observing Christmas on December 25 and celebrated Christ’s baptism on January 6. We might never know when Jesus was exactly born but Christmas Day isn’t really about dates. This occasion calls for us to remember that about 2,000 years ago, God sent His most precious son Jesus Christ as the ultimate expression of love for us. Let us instead focus on how we can share this love and the good news of salvation to other people.